Vitamin C is an essential vitamin that is known to boost the immune system, protect cells and help in the repair of tissue. Sounds great, doesn’t it, but can I give my dog vitamin C? 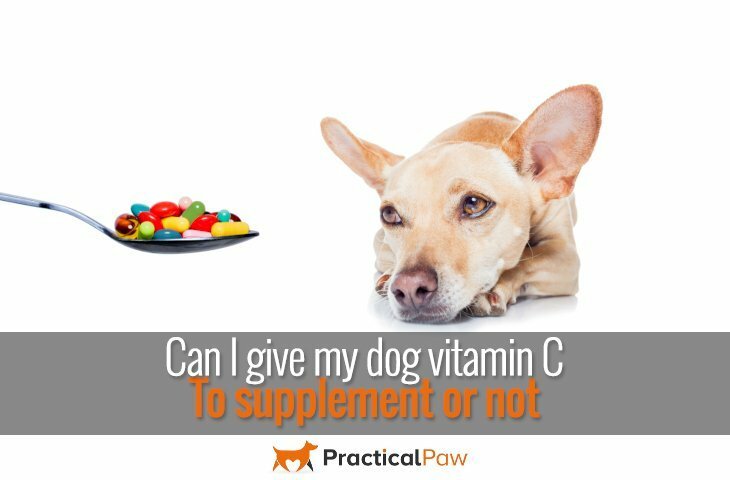 Perhaps a better question is why do you want to give your dog vitamin C. Dogs, unlike humans who have to get vitamin C from food, can manufacture their own. In fact the vast majority of animals, with a few exceptions are able to produce their own vitamin C. A process using the natural enzymes within their liver allows them to synthesise their required daily amount of vitamin C.
A dog typically produces around 18 milligrams of vitamin C for each pound of their own body weight every day. As vitamin C is a water soluble vitamin, it means that the body cannot store it but needs a new supply each day. 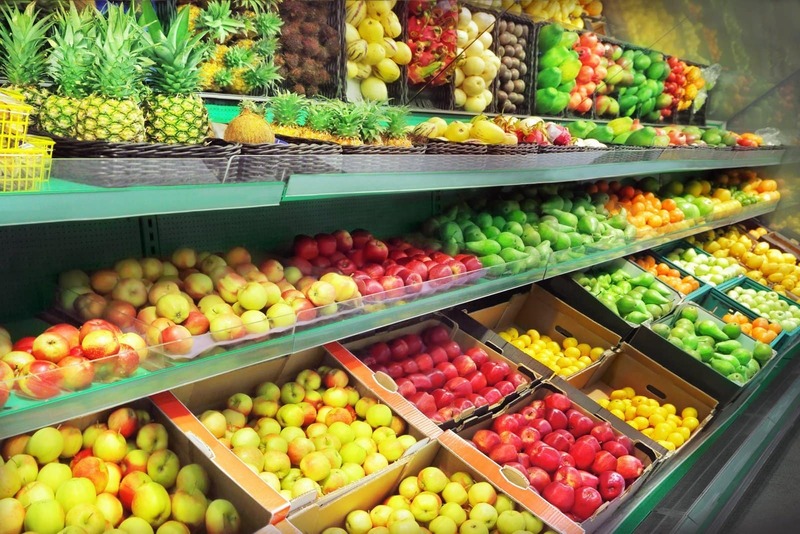 Humans get vitamin C through our food. By contrast, our furry friends get theirs through their own internal production system! Vitamin C (also known as ascorbic acid), can be found in lots of fruit and vegetables. These include tomatoes, green beans, citrus fruits and sweet potatoes. Although it should not be necessary to give a vitamin C supplement to a healthy dog, there is nothing wrong with complementing a well balanced diet with the odd healthy treat. Just like us, dogs can be affected by vitamin deficiency as well as specific health complaints that may deplete their vitamin C reserves. If so they may benefit from short term supplementation. Infections, injuries and stress can be helped with a vitamin C boost. However this should always be done after consulting your Vet. Typically if supplements are needed, it will be a short term treatment and used specifically to address an issue with your dog’s health. Nursing mothers and puppies may also benefit from a short term boost in vitamin C as the demands on the mother increase and the puppies grow. If your dog is deficient in vitamin C or has an ongoing condition like arthritis or liver disease then longer supplementation may be beneficial. How do I know if my dog is deficient in vitamin C? Severe deficiency of vitamin C can lead to a type of canine scurvy and Hyperytrophic Osteodystrophy. This can affect large, fast growing puppies, so symptoms should be taken seriously and veterinary care sought. Just as it does in humans, vitamin C helps to build and maintain strong bones in your dog’s body. It promotes a healthy immune system and has been shown to help stabilise blood sugar levels. Although there isn’t much research to support these claims, there is a lot of anecdotal evidence that vitamin C does have a positive effect on some of these conditions. As vitamin C is such an important vitamin for not only growth but health in general, it’s tempting to boost it a little in an attempt to ward off any potential health issues. However there is a risk if you give your dog too much. Apart from immediate side effects such as diarrhoea and an upset stomach, there are potentially more serious issues that need to be considered. Although research on vitamin C overdose in dogs is rare, there are several health risks that seem to be consistently reported and therefore may be worthwhile considering. Some studies show that continued use of, or high doses of vitamin C can lead to an increase in the likelihood of kidney stones and the malabsorption of vitamin B12. Potentially the most serious concern, however is that continued use of a vitamin C supplement may result in your dog not being able to synthesise its own supply. Despite there being a small risk, vitamin C is considered a safe supplement as it is water soluble. That means that any excess vitamin C that naturally occurs as part of your dog’s diet is filtered by the kidneys and excreted in your dog’s urine. So when we talk about toxicity or the dangers of vitamin C the amount required to create an issue is usually very high. What type of vitamin C is the best? If you do decide to provide a vitamin C supplement to your dog then you may well find the choice of supplements confusing. Supplement prices vary as do estimated absorption rates. So – how do you choose the best vitamin C supplement for your dog? Try to choose a supplement that is purely vitamin C. Many supplements will combine vitamins and minerals and have fillers and bulking agents as ingredients. If your dog does not take tablets easily, powdered forms of vitamin C are available and can be sprinkled directly onto your dog’s food, however some supplements may taste ‘salty’ and be unpalatable to your dog. Supplements can be expensive but try to buy the best product within your price range. If you’re in any doubt, do seek the advice of your Vet. Can I give my dog vitamin C? Yes you can. Vitamin C is considered to be a safe supplement as any excess should be removed naturally from the body. Vitamin C has many benefits. If your dog is ill, stressed or has been injured, then providing them with a vitamin C boost may help. However, just like humans, dogs have a complex balance of vitamins and minerals that they require to be healthy. If you choose to supplement a particular vitamin or mineral you could be affecting more than you think. We recommend that you only use supplements under the advice of your Vet. If you provide your dog with a healthy well balanced diet there is no reason why you should need to provide additional vitamin C.